Finch got some new pyjamas this week. He was so pleased with them that he got up in the night and put all three sets on, on top of each other. He was roasting when we went to wake him up in the morning. There are lots of yellow irises flowering along the river, beautiful golden spears, tall and exotic. My rambling roses are blooming and the bees are busy visiting the chives. After a week of non-stop rain the forecast is for sun! At long last summer might be here…just in time for May half term. 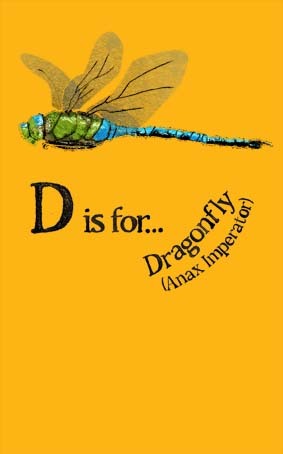 This entry was posted in Illustration, Wildlife and tagged ABC, anax imperator, blue, bug hunting, children, chives, dragonfly, education, garden, gold, green, half term, Hannah Foley, illustration, illustrator, insects, irises, kids, may, natural history, pyjamas, rambling roses, summer, sun, wildlife, yellow. Bookmark the permalink. Bless him. our garden iris r out and love the way they sway in the breeze elegantly.